Mybargainfullofspots also known as Tuddi in the barn, she stands 14.3/15 hands tall, she is a Varnish Red Road, 2013 mare sired by Spot of Scotch (Zip on Down x Miracle Doll) and out of Unzipped A Bargain (Unzipped x Bargain Bonanza). She is broke to ride Western and English she really just needs finishing if someone wants to show her, she has been taken out on the trails a couple of times, I have hauled her to a few open horse shows for experience and she handled it all like a pro. She hauls well (alone or with others), she has taught a few beginner lessons (mainly walk/trot) last year and she was very patient with the student. 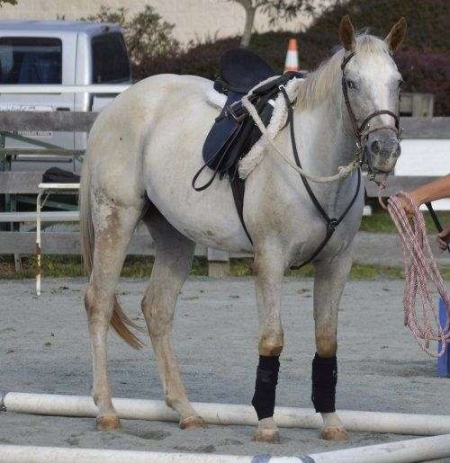 She is a sweet mare with a great personality, and loves being the center of attention. She can go out with anyone or even alone, live in the barn or outside, she would make a great broodmare prospect! She ponies, lunges, clips, ties, cross-ties, stands for farrier, and is current on all shots/coggins and dental.